It’s the end of the line for Finn and Jake. The Adventure Time TV show has been effectively cancelled. Cartoon Network announced the long-running animated series will end in 2018, Deadline reports. There are still plenty of adventures to be had, though. In addition to the ninth and final season of Adventure Time, expect specials and mini-series. 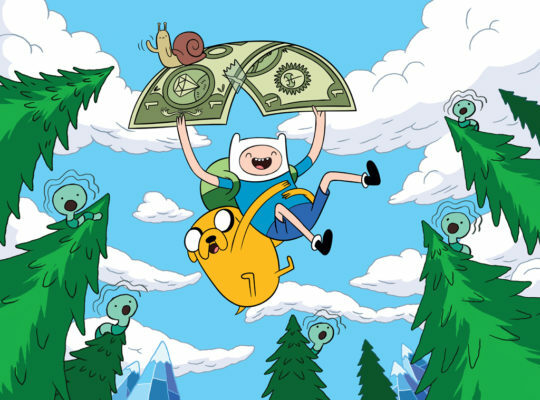 Created by Pendleton Ward, the cartoon follows a boy named Finn (Jeremy Shada) and his dog, Jake (John DiMaggio). Tom Kenny voices Ice King. Hynden Walch voices Princess Bubblegum. Adventure Time is executive produced by Adam Muto and produced by Cartoon Network Studios. Season nine is currently in production. What do you think? Are you a fan of the Adventure Time TV series? Is it ending at the right time, or should it have been renewed for a tenth season on Cartoon Network? More about: Adventure Time, Adventure Time: canceled or renewed?, Cartoon Network TV shows: canceled or renewed? I dont want a tenth season. I am very disappointed and saddened that Adventure Time has Cancelled. I bought every series and prepaid for season 10 and I’m left with half a season and a lot of unfinished character stories that I thought would continue for a long time.